Back by popular demand, Aerosaurus Balloons are offering another huge Black Friday discount! we are excited to announce that this year we are offering HUGE discounts on our Hot Air Balloon Flight Vouchers as part of our amazing Black Friday deal. Treat yourself or your friends and family to a Champagne Hot Air Balloon Flight with Aerosaurus Balloons – the perfect gift this Christmas and something to remember forever. Spoil someone this year by taking them up into the skies to see the beautiful landscapes of the South West before indulging in a celebratory glass of chilled Champagne! Remember to register by 5.00pm on Thursday 24th November to receive your code! 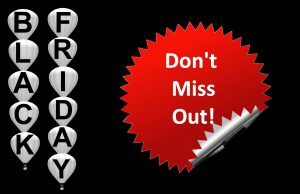 For one day only on Friday 25th November we will be offering huge discounts only to the special few who sign up to receive the discount code. All you need to do is enter your email address on the form below and we will send you the discount code to use on Black Friday! Then, simply visit the Aerosaurus website and select an Anytime Voucher to add to your shopping cart, enter your discount code and if you are one of the first 50 people to use it – your huge discount will be revealed and you can continue your purchase! Don’t miss out on this limited offer, spoil someone or treat yourself to a great deal ahead of the Christmas rush.